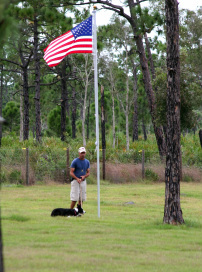 Mike Horgan has been active in training and showing dogs for over 20 years. Starting with Drax, his accomplishments include National Ranking in three levels of Obedience and then onto his sheep herding career. Flash, his female Rottweiler also showed in the breed ring to her championship and received multiple High in Trials during her obedience career. 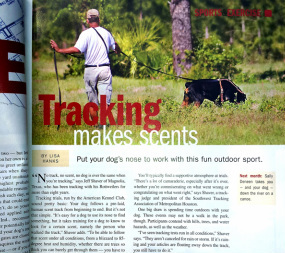 Their son “Driver” became an accomplished Tracking Dog who can be seen in Dog Fancy Magazine May 2008 tracking at the Rottweiler National Specialty Show. Drax achieved his international championship, UKC championship, and pointed in the AKC while was also competing in obedience. As time went on, Border Collies came into his life with Liam a red and white Border who has an outrun that would rival any Border Collie out there! Mara, at age five is already a top performer with multiple High in Trials. Both are titled in the advanced levels of the AKC and the AHBA and are running Pro-Novice and Open in the USBCHA. Mike has enjoyed sheep herding instruction with various breeds of dogs since 2008, and and in Competition Obedience, Tracking and Sheep Herding since 1998. 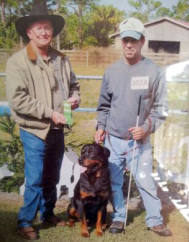 Mike has participated in many herding clinics over the years, conducted by many well known handlers. Herding clinics are also conducted throughout the year here at Draxen Farms. Please contact us for clinic dates.